Yoga is more than mere movements and exercises to stretch your body. The essence of yoga lies in the mindful breathing, which enhances stress relief and creates joy and relaxation. With this two sessions, students will have a chance to practice the mindful yoga and breathing, and to have a taste of the connection between body and mind at the present moment. – Quota: 20 students (First come first serve) (Notice: Please check your calendar carefully to ensure that you can really participate in this event. Otherwise, please give this chance to other students). 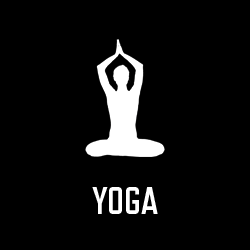 – Facility: 20 yoga mats will be provided during the sessions. You can also bring your own mat if you have. You are expected to bring a cloth/scarf to cover the borrowed mats to ensure the hygienic issue.